I get asked a lot about how I “do it all”. How I “find balance”. Well as I sit here today on mommy day at home with three wild kiddos it dawned on me that really all I found is a way to move through the unbalance of motherhood and running a business. I’m talking about those feelings of never being in the right place at the right time. The guilt. Farming is a seven day a week job. It’s no secret that we are at the mercy of Mother Nature, who happens to not really care too much if it’s a “work day” for me or not. Farming on a childcare schedule is impossible when you are at the weather’s beck and call. It is hard to be home three days a week with kids, knowing that I’m leaving the work to people who I trust, but people who aren’t me. Thankfully I have people who can do this, but it’s taken a long time to sit back and accept that my reality of farming has changed to a new balance of unbalance. Thank goodness for cell phones (I’m sort of annoyed that I even have to write that reality). I do a lot of work from this small piece of technology. I answer calls with kids in the background. I text work orders to people out in the field. I keep track of expenses. It’s actually where I’m typing this blog right now, in between “Mom I need you!” ” Mom I’m hungry” “mom come see this” and some of it might be while I’m hiding in the bathroom (because folks that’s like a real thing hahaha!). On days when I’m working physically at the farm, I am lucky to get to come home to eat lunch with the kids. I take the oldest to school and when he gets off the bus at the farm, he’s with me for the rest of the day. I love all of this, but all of this is also hard to make farming work for me in the way that it used to before I became a mom. So it’s Thursday and I’m home with the kids. It’s not perfect, and I’m thankful I can be here and be “everywhere” when I need to be. Even though it feels unbalanced. All I can do is make the best choice for my family and the farm. And know that it’s not the perfect choice (but let’s be honest, “perfect” rarely exists in the real world). I know that every once and awhile I’ll get to have days where I can be out in the fields right when I need to be, and I’ll be home with my kids when they need me. And all of this works, not because of me and my abilities to “do it all”, it’s because of all the people who work hard in our village to make this all happen everyday!! The unbalance, the guilt, the struggle…these are my issues, their stability and love is how I get through it all. 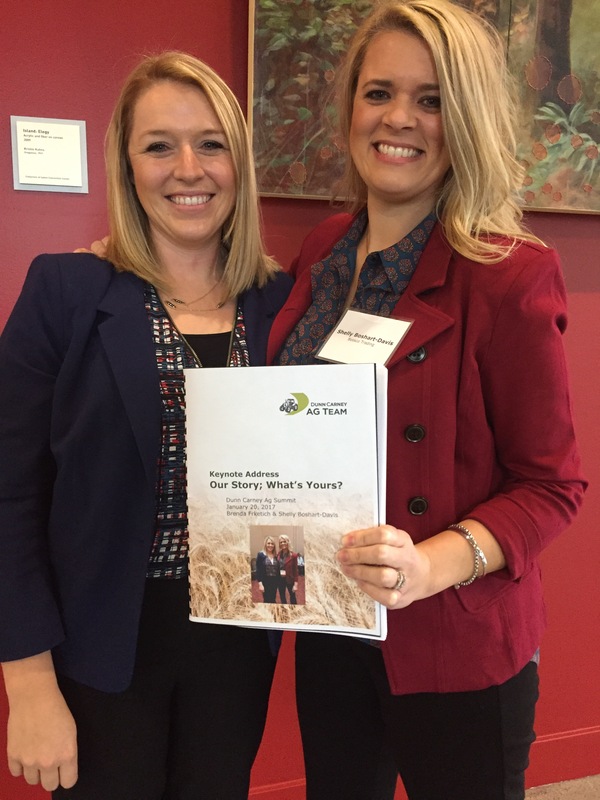 A few weeks ago I wrote about how my “business attire” wardrobe may not be as extensive as my non-farmer friends. 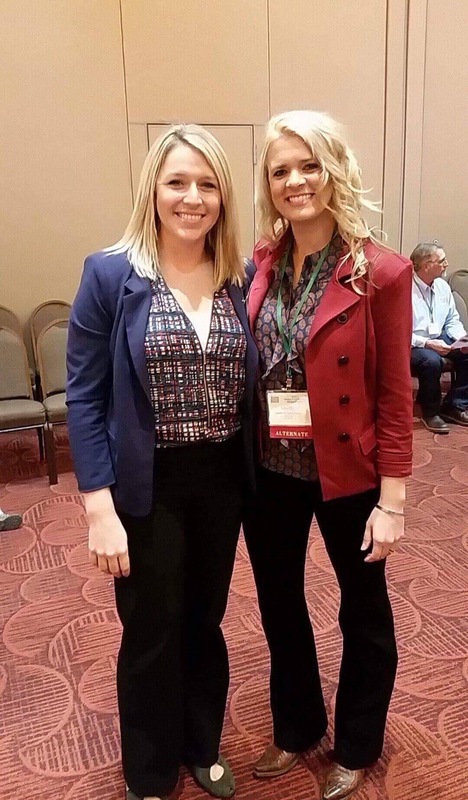 Considering as farmers, Shelly Davis and I both wore the same EXACT outfits as the last time we dressed up together…oops! 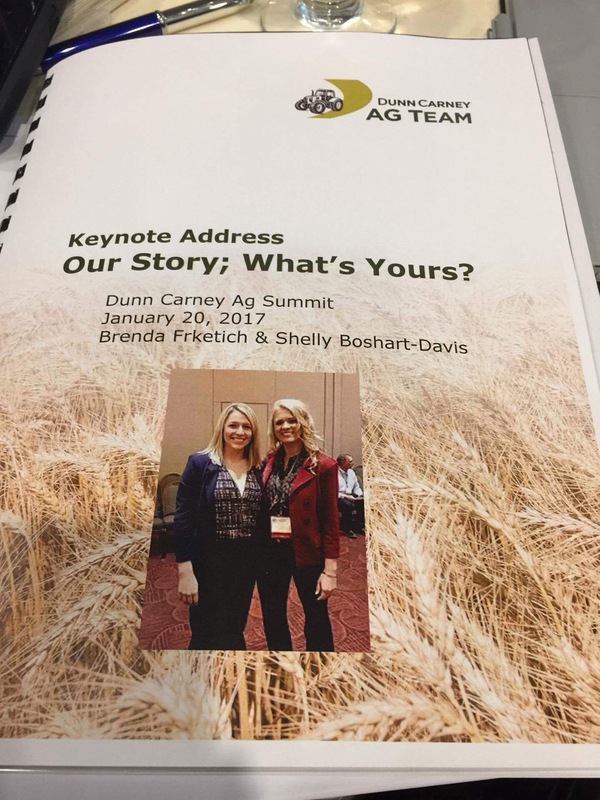 But the I have to say I really enjoyed everything from the prep for this talk to the actual end result of our keynote for the Dunn Carney Ag Summit entitled, “Our Ag Story, What’s Yours?”. Shelly shared our transcript on her blog last week, so if you’re interested please click here, or head over to Daughter of a Trucker’s blog to see what we said. If you’re more of a video type, I have uploaded from Facebook live onto YouTube our keynote. It’s not great audio, and it is in two parts because the WiFi was being funky. So if you are patient and you have a low tolerance for video quality, the message is still (in my humble opinion) top notch and spot on!